Dr. Sheldon Randall denies the state’s allegations and has appealed. Dr. Sheldon Randall has been king of obesity surgery in Massachusetts, running booming programs at three hospitals and training young Harvard surgeons as the operation became a popular option for profoundly overweight patients. He has performed more than 6,000 weight-loss operations in his 30-year career — nearly one every weekday — and been featured in marketing campaigns by two suburban hospital systems. Under Randall’s leadership, their bariatric surgery programs were designated national centers of excellence by surgeons’ groups. But behind the scenes, the surgeon was under investigation by the state Board of Registration in Medicine. Two months ago, the panel suspended Randall’s medical license, accusing him of a pattern of negligence and declaring him an “immediate and serious threat’’ to the public. Investigators charge that he did not recognize and treat post-surgery complications quickly enough in four patients, two of whom died. Randall, 61, denies the allegations and has appealed the suspension, enlisting a team of experts who said he provided perfectly fine care for those patients. Four prominent Harvard physicians also have written letters to the board supporting him. Regardless of the outcome, the case exposes defects in the health care system’s efforts to protect patients: Accreditation programs established to help patients choose the best hospitals may offer false assurances, and the medical board can take months to act on complaints. Hospitals do not routinely communicate with each other about disciplinary actions against doctors, and the medical board does not automatically contact hospitals either when suspensions or similar measures are reported to it. While Hallmark Health System suspended Randall in March 2012, apparently prompting Winchester Hospital to discipline him as well, MetroWest Medical Center allowed Randall to keep operating — right up until several days before the board took away his license Aug. 16 of this year. 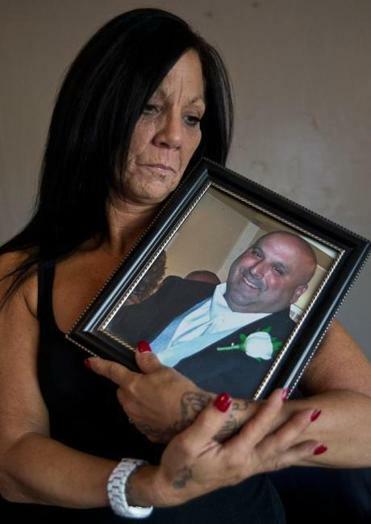 Cheryl Ferullo held a photo of her husband, Scott Ferullo, 45, who died after open gastric bypass surgery last year. During that 17-month period, the board alleged that Randall negligently cared for two gastric bypass patients at MetroWest. One, a 67-year-old woman whose surgery was Dec. 19, 2012, died, dependent on a ventilator and a dialysis machine in her final days. MetroWest would not comment on whether it knew about the Hallmark discipline. Hallmark and Winchester hospital officials also declined to discuss the case. The medical board added the Hallmark and Winchester disciplinary actions to Randall’s profile on the board website, but MetroWest would have had no reason to look there. The job of notifying other hospitals of a suspension would have been the physician’s, not the medical board’s or Hallmark’s, said Barbara Piselli, the board’s interim executive director. “It is a gap in the system,’’ she said. Piselli said she could not discuss why it took the board 18 months to investigate Randall, but she said cases often take months because investigators must subpoena medical records, interview witnesses, and locate an impartial expert to examine the cases. There “is a lot at stake for the physician and for the public,’’ she said. The board does not publicly disclose ongoing investigations. Randall’s attorney, Chad Brouillard of Boston, said neither he nor his client would discuss the allegations. But in a motion opposing the suspension of his license, Randall said MetroWest found no problems with his patient care. And he said an unnamed expert who reviewed Randall’s cases for the medical board could be a competitor with “a direct financial interest’’ in trying to discredit him because of his success. At least eight patients or their survivors have sued the surgeon on grounds of medical malpractice during the past 13 years. At least three of the cases have been settled for undisclosed amounts. In February 2011, Hallmark suspended Randall’s privileges for five weeks because of a “death in the course of/resulting from surgery,’’ according to the medical board’s website. This death was not included in the board’s allegations against Randall, however. Piselli said in an interview that the board began investigating Randall in the spring of 2012, though she would not say what prompted the inquiry. But on March 14 of that year, Scott Ferullo, a 45-year-old Everett construction worker, underwent open gastric bypass surgery at Hallmark’s Lawrence Memorial Hospital in Medford, and he died four days later. The board allegations refer to him as “patient A,” said his wife’s attorney, Robert Higgins of Lubin & Meyer in Boston. Cheryl Ferullo said her husband was exhausted because of sleep apnea, a condition common in overweight people, and was taking medications for diabetes, high blood pressure, and high cholesterol. His doctor suggested that the best way to resolve these chronic conditions, and stop taking medication, was surgery. An aunt who had a gastric bypass operation recommended her surgeon, Randall. The day after Ferullo’s operation, his wife said, he was in terrible pain. The board’s statement of allegations said Ferullo spiked fevers to 106 degrees in the next several days, was confused, and his heart raced. Investigators said Randall failed to promptly investigate whether his patient had a leak or bleeding at the surgery site. Ferullo died, of sepsis, an overwhelming infection, while being flown by helicopter to Massachusetts General Hospital, his wife said. Hallmark suspended Randall that day, according to the board’s website, and he resigned permanently in November 2012 — two and a half months before the 67-year-old MetroWest patient died. In her case, the board said she was “a high risk patient’’ and required even “more urgent treatment for complications.’’ The board said Randall failed to quickly evaluate her for a bowel obstruction when she began vomiting several days after surgery. During 2011 and 2012, both Hallmark and MetroWest, with hospitals in Framingham and Natick, were designated Centers of Excellence by the American Society for Metabolic and Bariatric Surgery and the American College of Surgeons — seals of approval they proudly displayed on their websites. Dr. Jaime Ponce, president of the bariatric surgery society, defended the accreditation program. He said hospitals accredited by the society are far safer, because they must perform a minimum number of surgeries, buy operating room tables large enough for overweight patients, and regularly review outcome data and improve their programs. But he acknowledged that patients cannot rely solely on a hospital’s designation as a center of excellence to pick a surgeon. Evaluators inspect hospitals every three years and review their data annually, but do not evaluate surgeon performance, he said. Hallmark and MetroWest said the surgery groups’ designation is valid, because it recognizes the quality of an entire program, not an individual doctor. Blue Cross Blue Shield of Massachusetts, which had named Hallmark a Blue Distinction Center for Bariatric Surgery, suspended the designation this month after an inquiry from the Globe, because Hallmark did not notify the insurer that it had disciplined Randall, said Dr. Tony Dodek, vice president of medical quality and strategy. The hospital has used the distinction to market its program. Hallmark granted Randall operating privileges in 1999, and soon after Randall took over the new obesity surgery program at Mass. General, where he trained several of the surgeons who work there today. Randall left Mass. General in 2007 to start the MetroWest program. “He has taken on some of the more challenging people and saved a lot of lives,’’ said Dr. Matthew Hutter, who is one of the Mass. General surgeons Randall trained and who wrote him a letter of support. Dr. Andrew Warshaw, the former Mass. General surgery chief who hired Randall and also recently sent a letter backing him to the medical board, said there were no problems with Randall’s medical care at the hospital. And, he pointed out, the complications the four patients suffered are a known risk of bariatric surgery. But Randall was unusual in one sense, Warshaw said. He continued to operate the traditional way, through a large open incision. “The only difference between Sheldon and other people here,’’ Warshaw said, “is that he was doing an open approach and the field was moving on to a laparoscopic approach,’’ which involves using long, thin instruments and a tiny camera to operate through several tiny cuts. In the four cases cited by the board, investigators faulted Randall for performing open gastric bypass surgery even though it is associated with higher rates of infection and other complications than the less invasive laparoscopic approach — now used in the vast majority of cases. 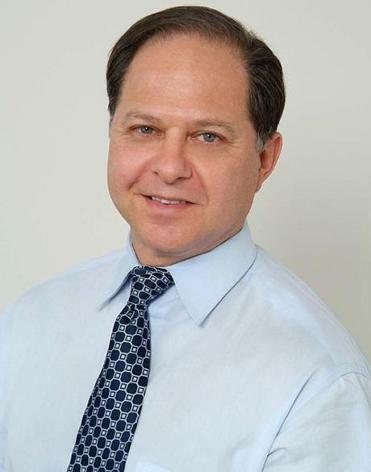 Overall, bariatric surgery deaths have plummeted during the past decade, from more than 1 in every 100 patients to less than 1 in every 300 patients, said Dr. George Blackburn, a surgeon at Beth Israel Deaconess Medical Center. Surgeons believe the drop is in part due to more modern, less invasive techniques.